A new study took a look at some of the “fattest” states in the country and it turns out that Georgia seriously needs to get in shape. According to WalletHub’s latest ranking for “America’s fattest states,” Georgia lands at number 16. “They compared the 50 states and District of Columbia across three key metrics: 1) obesity and overweight prevalence, 2) unhealthy habits and consequences and 3) food and fitness,” the AJC reported. The reality of these metrics, however, paints a seriously bleak picture. Georgia being ranked as one of the “fattest” states isn’t something that’s about physical appearance. The list means Georgia has an overwhelming number of genuinely unhealthy residents and that’s something that deserves a serious call to action. The study also included children and teenagers, which means Georgia’s youth are just as unhealthy as the state’s adults. This trend of obesity is quite obvious and something must be done to alter our state’s status. 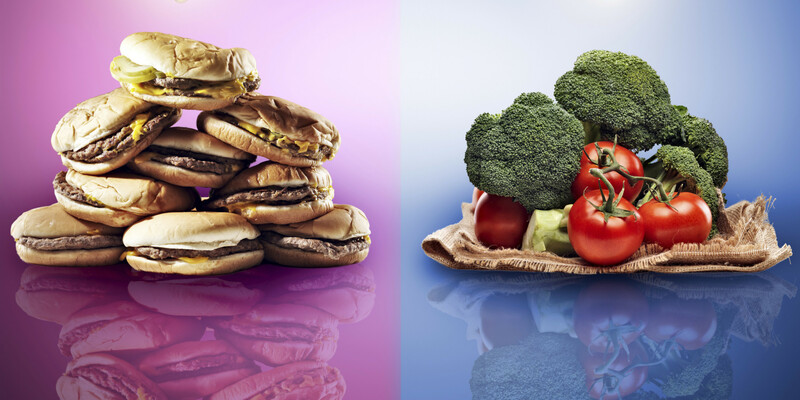 If left untouched, our upcoming generations may experience more than just a chronic obesity situation. According to News Medical, a studies show that more heart disease, diabetes and high blood pressure will be seen at a younger age [in the new generation] and even aggressive treatment will not be able to stem the trend. 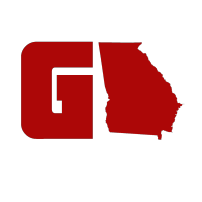 So in hopes of helping the Peach State get fit and get taken off the top 20 list of “fattest” states, we have put together a list of fun activities that can help Georgia residents get active and possibly adopt some healthier habits. 1. 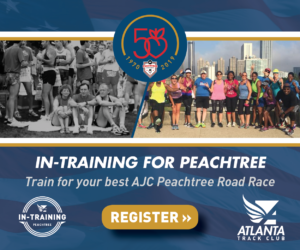 Define Atlanta – Fitness that will strengthen your body and mind! Define Atlanta allows you to fully soothe your mind and relieve stress while incorporating pilates, yoga, and ballet into one workout. 3. Sky Gym – As seen on CNN and Atlanta Magazine, Sky Gym is a new and innovative way to get in shape and increase flexibility. Go head girl, dance through the air as you tone up your core! First class is only $19! 4. Hiking – Travel through the extravagant Georgia trails for an inexpensive, yet effective, way to get in shape. Beautiful scenery included. 5. Paintball – This adrenaline-rushing game will certainly forget that you’re working out! Gather the entire family and ball out. Don’t forget to scratch it off your bucket list as well. Thank us later. 6. Fresh Fruit & Vegetable Picking – Pick your own fruits and veggies with friends! It’s a unique and relaxing way to get out of the house and get active. Bonus: You get to take home a plethora of natural and healthy goods! Pick Apples, Strawberries, and other fruits. 7. Rock Climbing – Scratch another activity off your bucket list. It’s time to go rock climbing! 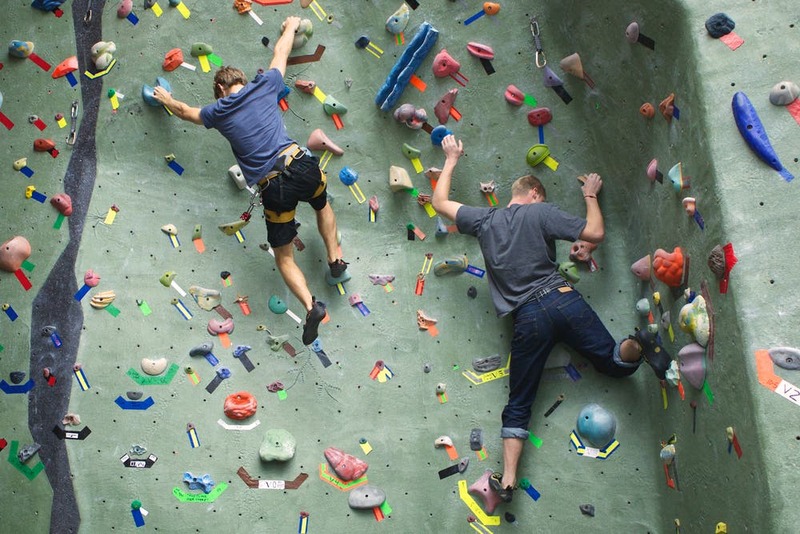 Rock climbing is a fun and recreational way to really get you in shape. Seriously, rock climbers got some of the most ripped abs ever. Also, safety and precautions are the top priority at these climbing facilities so yeah… don’t worry about falling. 8. Explore Through Winter Wonderlands – Now is the time to venture out into the gorgeous snowy mountains of Georgia. The hikes into these unforgettable nature trails are a must for this winter! 9. Geocaching – Geocaching is basically a real-life treasure hunt. You use your phone to locate geocaches near you and from there it’s up to you to find it! When you locate a geocache, (which you will because geocaches are literally hidden everywhere) you sign the log book and exchange a gadget from the box with your own. It’s a neat way to explore new places while getting your daily steps in. Georgia State Parks house a plethora of geocaches. Might wanna snag the best treasure before it’s too late! 10. The Color Run – The 2016 Color Run Tour was a blast for both Atlanta and Savannah. Not surprised though. The atmospheric fun and vivid color pops everywhere; making The Color Run my personal favorite. This 5k rainbow dash is one to last in your memories forever!